I always prefer the way electric toothbrushes clean my teeth rather than the standard toothbrush. After a trip to the dentist recently, I was told that using an electric toothbrush not only cleans the teeth better; but is a lot more gentler on the teeth and gums. Whitewash Laboratories is an oral care brand that I had never heard much about before they got in touch. We had a little chat about my oral health and I decided to trial out an electric toothbrush. I have given this a THREE month trial because I wanted to test it out properly to see whether it worked. 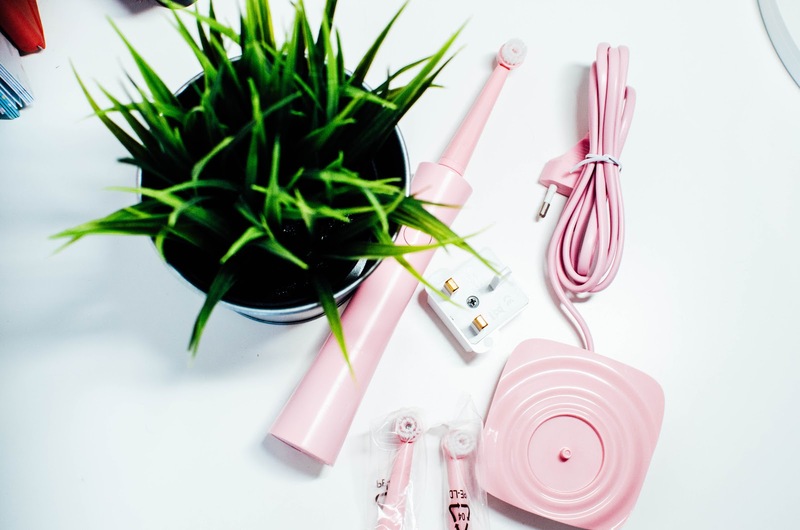 Whitewash Laboratories have teamed up with a cancer charity and have produced their charity edition electric toothbrushes. These retail for £24.99 and come in pink for women and black for men. 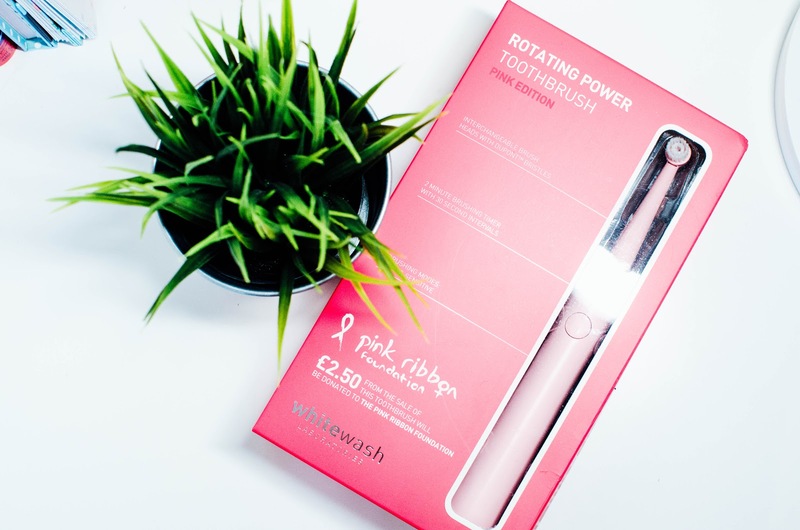 For every brush that they sell, they give £2.50 to the Pink Ribbon Foundation or to Prostate Cancer UK to help support awareness and research. These toothbrushes use rotating and oscillating technology to clean by removing plaque build up and promote healthy teeth and gums. 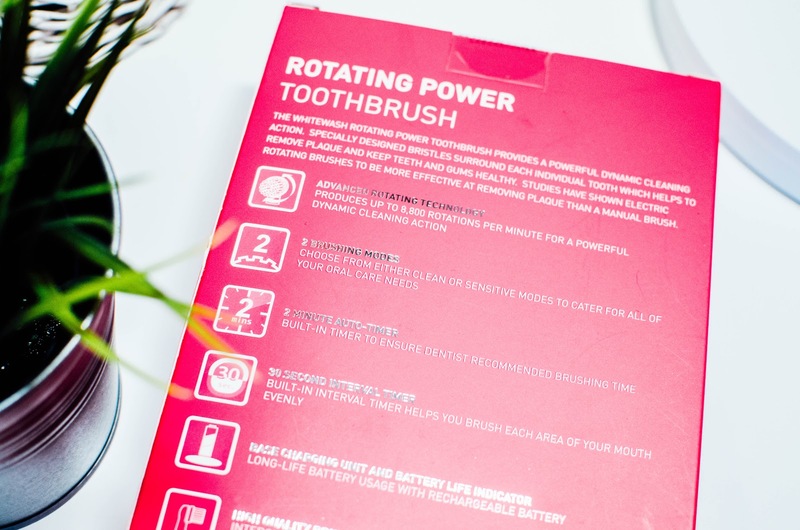 The toothbrushes are manually charged with a base charing unit which has an extra long life battery. I found mine lasts around 3-4 weeks before I need to re-charge it again. I think this is amazing considering other electric toothbrushes that I have had in the past need re-charging after a few uses. What I liked most about this toothbrush was the two different modes it has: normal and sensitive. Upon visiting the dentist, I was told to be more gentle when cleaning as hard brushing was causing my gums to bleed and were really red. I started off using this toothbrush on the sensitive mode and found there was no blood when spitting (sorry, TMI!). After 2 weeks, I then switched it to the normal mode and found the transition easy and not at all damaging to my teeth or gums. The toothbrush also has a two minute timer on it so you can ensure your whole mouth is clean. With this, the brush stops for 2-3 seconds on 30 second intervals so you can move the brush to another area in your mouth. I love this feature as I know I am not missing any areas when brushing. I have been using this for 3 months now and am just about to change one of the heads to a new one. Head replacements can be purchased online. All in all, I am very pleased with how this product works and I would definitely recommend it to anyone who has sensitive teeth and gums. It's made brushing my teeth pain free, blood free and a whole load more enjoyable... and it's probably the most mundane daily task we all have to do, right!? Disclaimer: PR sample but all words, opinions and photographs are my own. Lasting 3/4 weeks is a long time. That is so good.